While Labor Day in the U.S. started in the late 19th century to honor the American labor movement, today we are dealing with biofuel fraud cases that might lead to hard labor in prison. Biofuel fraud is making it to mainstream media with Friday night’s CBS News airing a segment featuring biofuels fraud whistleblower, Alex “Sasha” Chepurko on the season finale of Whistleblower. Chepurko, a young 21-year-old Caravan employee, talked about what happened while working for Caravan which sold finished biodiesel to another company that pretended it made biodiesel and then applied for biofuel government incentives and tax breaks. Laborers have made huge contributions to our society, globally, to make progress possible, and whistleblowers have helped bring wrongs to light and learn from past mistakes. 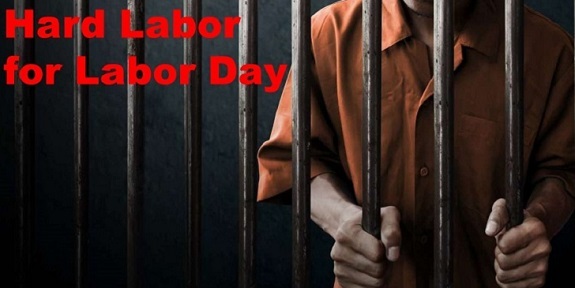 So as we honor them this Labor Day, we talk about fraud because it’s important to be aware of these situations and to hopefully help prevent them in the future. Dean Daniels, William Bradley, Ricky Smith, and Brenda Daniels, of New Energy Fuels and Chieftain Biofuels, who pleaded guilty in the Southern District of Ohio to conspiracy and were sentenced to terms of incarceration ranging from 12 months to 63 months. So are these cases being made examples of to deter others from acting in similar fraudulent ways? Pretty much everyone involved thinks so. Getting the message loud and clear? Just days before the Schnabel sentencing a week ago, the DOJ published notice that a federal grand jury in the District of Utah returned an indictment for Washakie Renewable Energy’s CEO and CFO, brothers Jacob Kingston and Isaiah Kingston who are part of the polygamous Kingston group, and California-based NOIL Energy Group’s Lev Aslan Dermen, for their alleged scheme to file false claims for renewable fuel tax credits. The IRS issued over $511 million to WRE for the company’s renewable fuel that was based on false production records. The indictment doesn’t mean they are guilty…it just means they are accused of doing this and the defendants are presumed innocent until proven guilty. According to the DOJ press release, “If convicted, the defendants each face a maximum of 10 years in prison for each money laundering count and Jacob Kingston faces a maximum of 3 years in prison for each false tax return count. They also face a period of supervised release, monetary penalties, and restitution.” Not good news for any of them to be facing right now. Just days ago, U.S. Magistrate Judge Brooke Wells denied an effort to release defendant Isaiah Kingston over fears that he would flee to Turkey if released. Jacob Kingston is also still in jail and has a detention hearing this week to see if he will be released until the trial. Federal prosecutors are trying to keep them in prison, however, due to their access to a private jet, business dealings in Turkey, and past tip notifying them of a federal agent raid on their business before it actually happened. Whether these recent sentences serve as a warning to anyone involved in biofuel fraud schemes or not, one thing is clear. If you are on the wrong side of the law, you’ll eventually get caught and get some hard labor and while Elvis Presley makes jail sound pretty cool and upbeat with “Jailhouse Rock,” we hear that isn’t so. So just do the right thing, follow the law, run a solid business, and maintain your ethics. That will not only help individuals, but the industry overall because every time a biofuel company or executive commits fraud or screws with taxpayers money, it just makes everyone look bad. This Labor Day, remember the laborers, the hard workers, the honest employees that make your business successful and progress possible. Thank them, be honest with them, and maintain solid work ethics so you all succeed.